I read a discussion once somewhere in the murkier depths of the internet where one poster, who may have been a bit simple, claimed that we would soon run out of songs to write because there are only a limited number of musical notes available. A string of surprisingly patient posters explained why this was extremely unlikely, and yet the abstract nature of the premise struck a chord (ho ho!). Still, I wondered, what if one day all the available words used to explain different musical genres will be exhausted – then the existing genres will need to be combined to create new, ever-more ridiculous sounding ones. We’re almost there – witness Witch House, Hypnagogic Pop and the like – and just consider what pressure must a new artist be under. After having created a carefully constructed new song, choosing which genre to pop it into must be agony. Consider Early Spirit. Having made, in For The Stars, a song that hops eagerly between Dubstep, Euphoric House, Techno and – yikes – Chillwave, he then needed to choose a tag to pin to it that may affect its reception before it has even been, you know, heard. 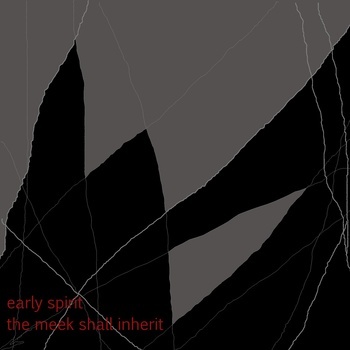 Early Spirit himself tagged the song as “ambient chillwave electronic house idm electro electronic house new wave Jackson.” This stream-of-consciousness, hit-all-targets approach is probably as wise/bizarre as any. For The Stars is a pulsing, skittering jolt of lightening-blue energy, an old-fashioned floor-filler that successfully grinds away at preconceptions. Genrefication of dance music is inherently daft – it’s all about dancing, right? – and under this remit, For The Stars is a huge success. It’s nice to think that we have all learnt something. Wait, so does that mean Early Spirit makes Edu-House? Posted on January 13, 2011 by Joe Sparrow. This entry was posted in Headline, Today's New Band. Bookmark the permalink.